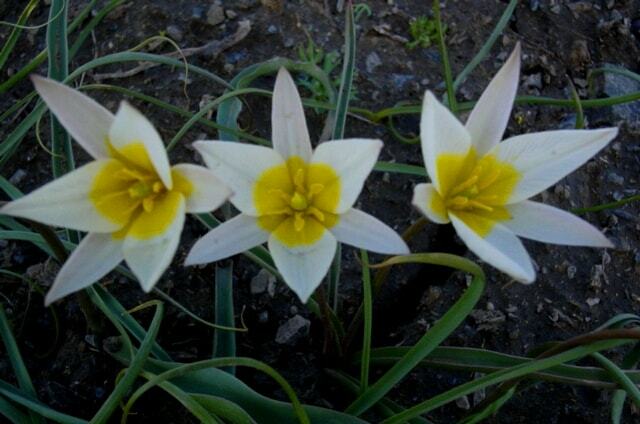 Home » Wild tulips of Kazakhstan. 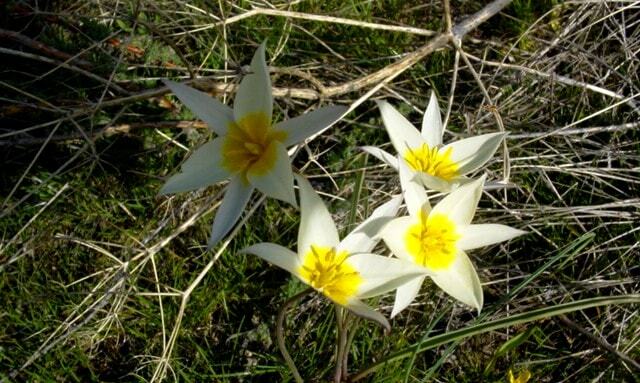 The unique nature of Kazakhstan. 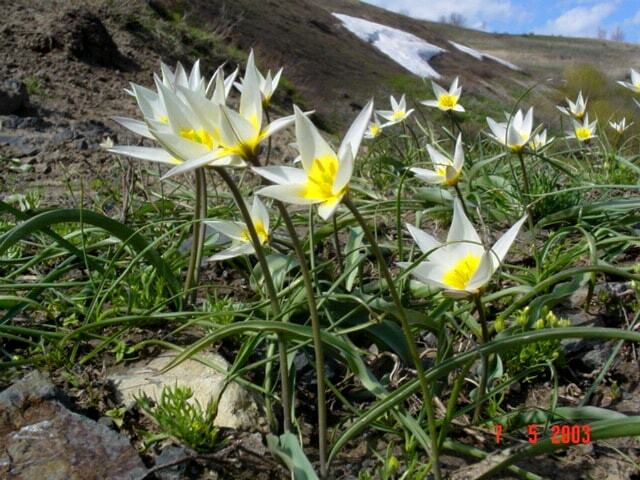 Places of interest of vegetative nature Kazakhstan. 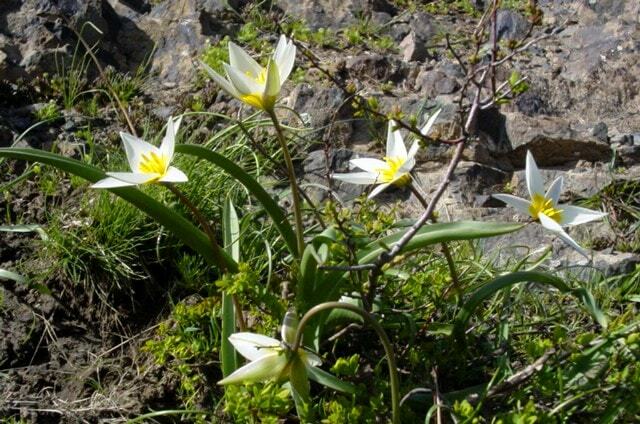 Excursions on flora of Kazakhstan. 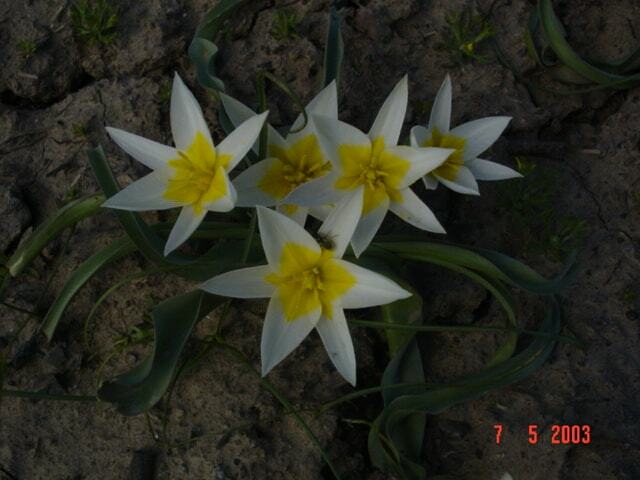 The white-flowered Tulipa kolbintsevii (Liliaceae), section Biflores, occurs in SE Kazakhstan, Dzjungarian Ala-Tau, Taskora valley. So far only T. aff. altaica and T. brachystemon (sect. 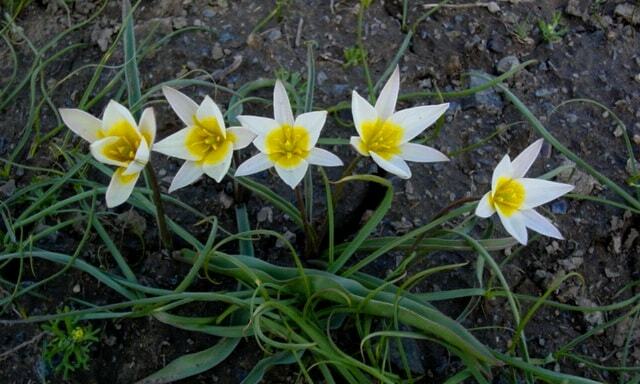 Kolpakowskianae) both with yellow flowers, flushed greenish–violet or red on the outside, were known to be present there. 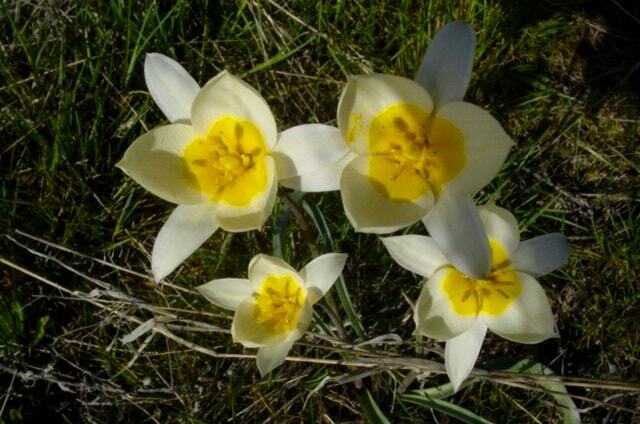 It differs in that it is not only the easternmost species of the section Biflores, and has different placement of hairs on the tepals, but also has the lowest genome size of the species in this section with 2C = 48 pg. 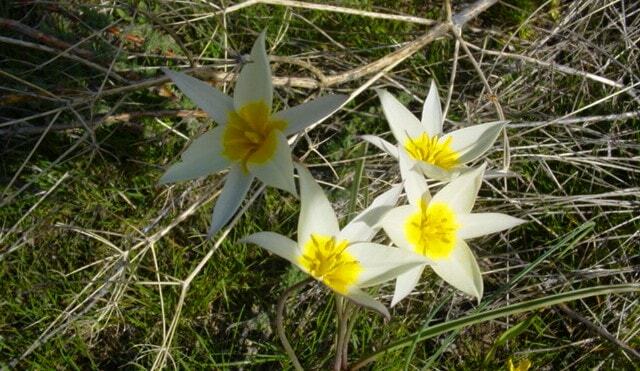 The other 14 species have 51.5 – 59.4 pg. Flow cytometry supported morphological differences. 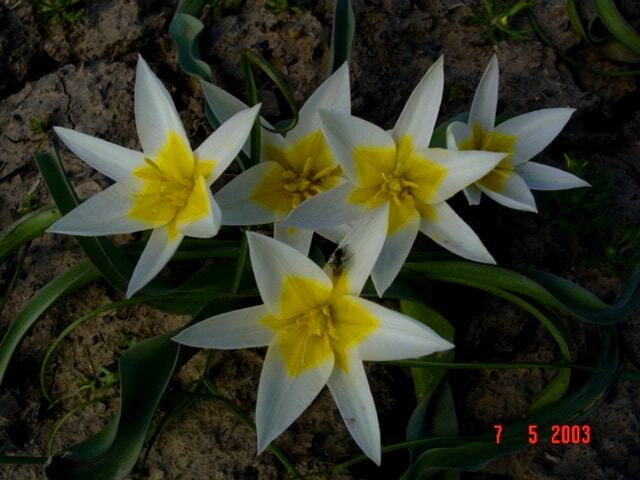 This method is useful for identification of dormant bulbs or sterile plants and is therefore important for monitoring of the trade in bulbous species.